Trek Care Plus | Home of the Crofton Bike Doctor Blog! There are a few exceptions to the warranty coverage as it applies to mountain bikes and their components. You can see all of the Trek Care Information here. Important Note: There are no real big changes in the warranty coverage that comes with the purchase of every Trek bike. Trek Care defines it and brands it clearly and simply. You do need to register your bike, which we can do in store for you. Or have a proof of purchase should you need any of the coverage Trek Care provides. Of course all of the bicycles purchased from us come with Lifetime Basic Adjustments in addition to the manufactures warranty. 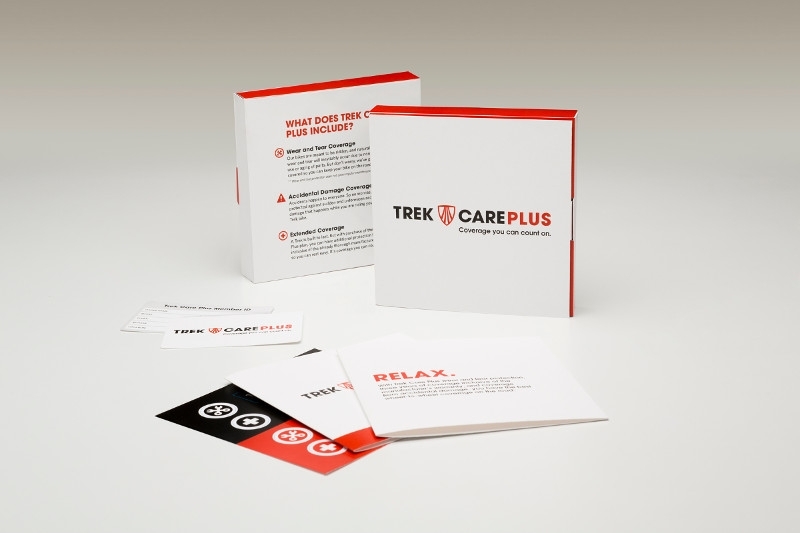 All of the Trek Care Plus information is here. Basically most of your bike is covered accept for tires, tubes and brake pads and regular maintenance. The investment you have made in your bike is substantial and what a great way to protect it. If you have an accident and your bike or one (or more) of the components are damaged, you are covered. The most exciting area of the coverage is the Wear and Tear Coverage. Components that are the most likely to wear out in that three year period are the chain, cassette and chain rings. Trek Care Plus covers the replacement of these components and the labor to do so. So you have no out of pocket expenses. All you have to do is bring you bicycle to us, we are a participating Trek Care Plus retailer and your proof of purchase and we’ll take care of the rest.